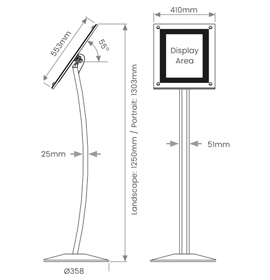 Description All your Hi-Light Menu Stand will be sent as individual units by parcel delivery. Your Hi-Light Menu Stand will be sent in two separate deliveries – one by pallet, one by parcel. LED ‘edgelit’ illumination for maximum 24/7 visibility. Suitable for A3 poster display. Quick and easy to switch between portrait and landscape – two in one! Satin black powder coated pole and base with matching poster border. 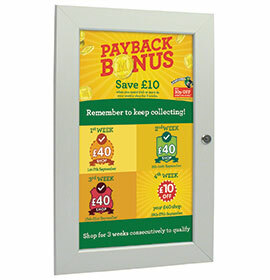 Ideal for ‘meet and greet’, menus, showrooms, galleries and museums. 3m power lead supplied (optional 3m extension cable available).